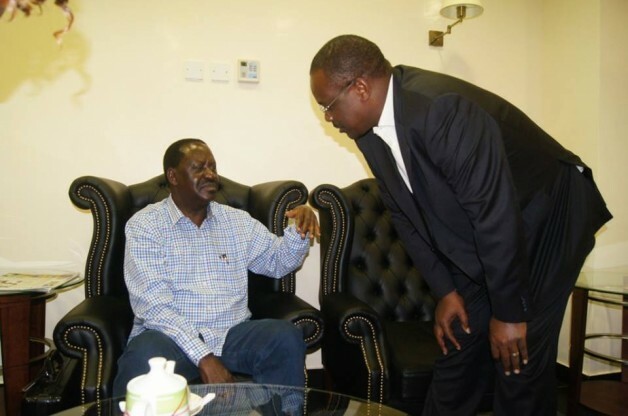 Dr Evans Kidero: A Puppet of History or a rising CORD czar? Philosophers have said that history repeats itself.This is an understatement.History,particularly political history associated with major political parties,repeats itself innumerably. It is difficult to cite a political development of any consequence that did not repeat itself on unprecedented occasions.How many times has the Republican Party (GOP) Â had to grapple with internal rebellion and rivalries? The African National Congress of Nelson Mandela? The Social Democratic Party? The multi-party FORD? Rebellions and rivalries that are of profound significance continually resurface, finally to end in the triumph of one rival over the other or their collective mutual annihilation. Observers expect each battle to settle the matter conclusively. Yet, like in the wild fights of baboons, the vanquished repeatedly arise anew to try their hand at making history again. In no political party in Kenya is this reality more evident than in The Orange Democratic Movement (ODM), an outfit once hailed as the best bet for injecting momentum in the transformation agenda of our beloved motherland. A conclusive exploratory surgery on the party reveals a string of internal developments that have proven prejudicial to it’s strategic objectives and whose destructive potency can only be compared to that of a malignant tumor. In an extra-ordinarily short period of time, the party of Raila Odinga has gone from being the apparently ascendant power on the national scene to being the sick man of our national politics.The rank and file,it appears,must be psychologically prepared to follow two courses. In one,the party recovers as quickly as possible and restores its quo – as the people’s party -frankly a dubious proposition but not altogether preposterous. In the other,the party becomes increasingly a marginal actor on the national scene, either collapsing entirely or playing a more passive and inward role in national affairs. Political pundits have been obsessed with prognostications about the future of the party.The threat of factionalism,according to sources privy to internal developments of the party,continues to torment ODM like an incubus. Apparently, this state of affairs that threatens the future of the party, if mishandled,is being perpetuated by Dr.Evans Kidero. What daktari represents for the party is a headache for the future. On one hand, he is seen as a potential heir-apparent of ODM presidential politics. He comes across as a man oiled enough to shake the son of Jomo’s endless coins and timeless war-chest. Sadly though, Dr Kidero finds himself between the Rock (Raila Odinga) and the hard place (Raila Odinga) of the party. Supporters have taken notice. It is pre-2017, stupid! It was Anain Nin, that great poet, who said; “the dream was always running ahead of me, to catch up, to live for a moment, in unison with it; that was the miracle”. Indeed, Daktari’s miracle is to inherit the party base without falling out with the party gods. It is catch 22! The son of Jomo, perhaps conscious of Daktari’s eccentricities, resolved to pay him a visit on the pretext of addressing security challenges in the governor’s county in-spite of the existence of a county commissioner and the Ministry of Interior who would better address those concerns.It is difficult to make the case that politics was not part of the agenda during the ‘security summit’. Jakom on arrival from The States with a batch of governors,chose to steer clear of this latest development that formed fodder for local dailies.He preferred to address ‘pressing issues’ of national significance by spitting venom on the conduct of the ‘disciplined’ forces wondering aloud why soldiers would drink water at westgate with impunity as if their barracks were devoid of this essential commodity. One would confidently glean from his demenour that all was well with the party that was still reeling from the effects of a historic presidential defeat, or rigging, whichever way you look at it. Despite his demeanour,reliable sources intimate that Daktari’s idiosyncrasies which may be interpreted as apostate behavior has sent jitters across the party necessitating the need to rein in the governor; a beneficiary, in part, of the party’s city machine. In the final analysis,if the last elections were a learning and sobering moment for the party’s functionaries,then this latest development must be cautiously approached in a manner that injects dynamism into the ODM machine.Dismissing it as unwarranted paranoia and fishmarket scaremongering amounts to politicide. If the time is ripe for the main actor to exit the stage then historical currents must be allowed to run their full course. Bending the arc of history may prove a costly affair.